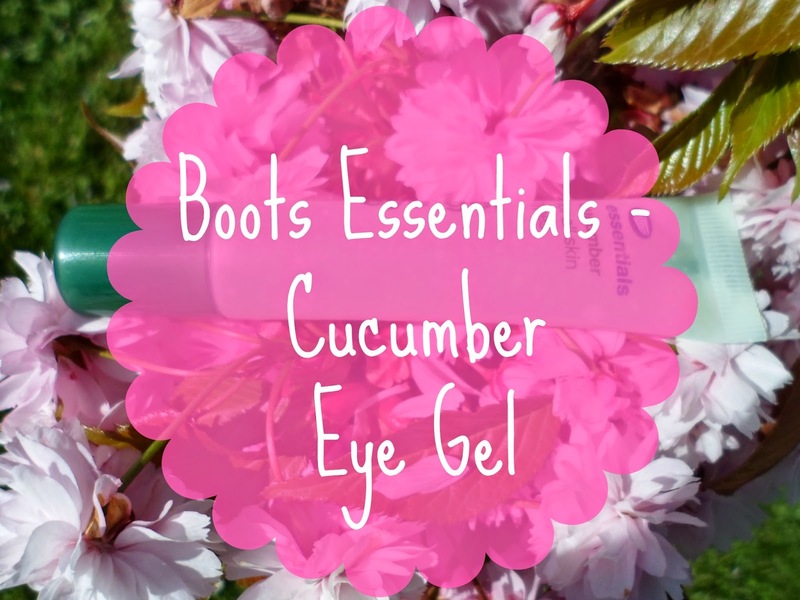 I love the Cucumber Eye Range, they are such good value and work so well. Even though the eye gel is cheap, it could be 10x cheaper. I was buying it today and noticed the eye make-up remover gel of the same brand sitting by it. It's the same price (£1.50 but on sale for £1.00 currently) but you get150ml rather than15ml. It looked pretty similar and when I looked at the ingredients the only difference–besides a slight change in the order of the ingredients–was that instead of the third ingredient being 'glycerin' it is something called 'polysorbate 20'. Polysorbate 20 is apparently "a polysorbate surfactant whose stability and relative non-toxicity allows it to be used as a detergent and emulsifier". This makes sense because glycerin (used with other ingredients not alone) can add moisture and help puffy eyes, whereas a surfactant would help remove makeup. Glyercin is cheap, (£1.29 for 200ml) so that can't be the reason for the price increase. I guess people just don't need eye depuffinators (my new term) in huge quantities and packaging costs money so companies can get away with charging much more than they need to. If they're making enough profit on the makeup remover for the product to be profitable then they must be making a ton on the eye gel. I was wondering whether I could save money and use the remover on my eyes in the mornings to sooth and de-puff or at least under them so I bought that also (to compare). I didn't look up the polysorbate 20 until I was home. I'm not sure if using a surfactant to de-puff would cause more irritation than the eye gel, but the product is meant for eyes still obviously... Also I have glycerin so I could add a bit of that to make the formula almost identical. German craftsman were typically regarded as the best manufactures of the prosthetic eye during this time.